Tansy is a beautiful yellow blooming herb that actually can help repel insects and may help deter ants and mice in the garden. This herb works better when its made into a tea and sprayed around the yard. If placed in a compost pile, Tansy will add potassium to it. Tansy will grow to be 2-3 feet in height. Tansy is an herb with yellow blooms that is often used to repel insects, ants and mice from the garden. In addition to repelling pests, tansy can replenish the soil with potassium. Tansy is even sometimes considered an invasive weed, as it easily reseeds itself and spreads quickly. Tansy is a member of the daisy family and can reach up to 4 feet in height. 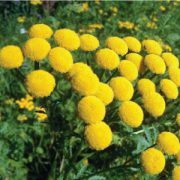 Before Planting: Tansy can grow in full sun or partial shade. 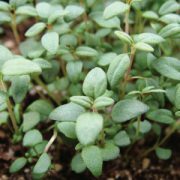 It does best in fertile, well-drained soil and in an area that has little vegetation already established. Planting: Tansy seeds can be started indoors as early as eight weeks before the last frost if being planted in the spring. If planting in the spring, sow directly into the garden 1/4-inch-deep as soon as the danger of frost has passed. Tansy seeds will germinate in 15 to 30 days. Watering: Tansy plants require little attention and only need to be watered occasionally and during dry periods. Fertilizer: It is best to amend the soil with plenty of compost prior to planting the tansy seeds. Add fertilizer once a month to the plants. Days to Maturity: Tansy leaves and flowers are ready to be harvested after around 75 days. flowers of tansy also can be used to create colored dyes. Tips: Tansy is often used as a companion plant in the garden as it repels many pests. 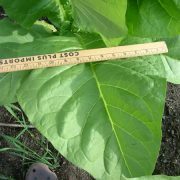 The plant also can be harvested and made into a liquid that is then sprayed around the garden. To do this, add dehydrated tansy into steaming water and spray around the garden.